I’ve been working today so I went for a little walk at lunchtime in search of dog. 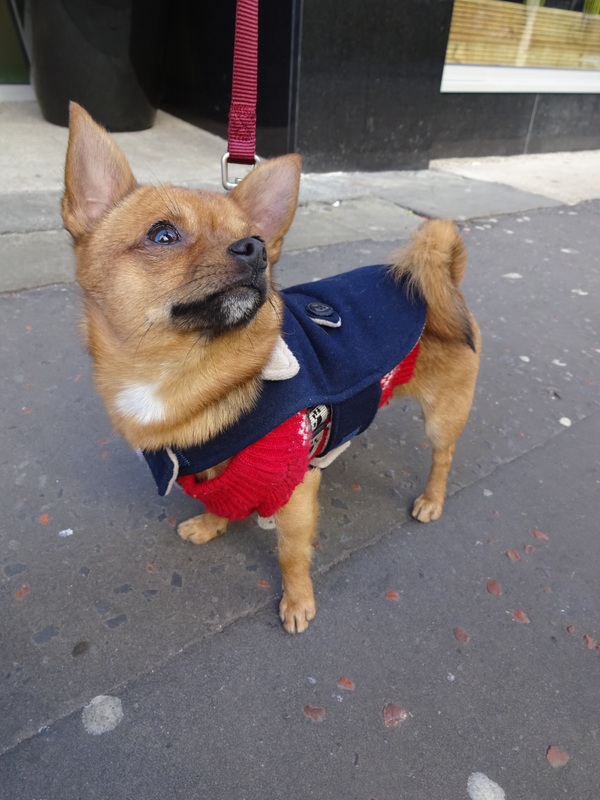 I didn’t have to walk for very long when I spotted a very cute Chihuahua wearing a very fashionable jacket, he won’t leave the house without his coat on! Casper was very friendly and had lots of personality! Casper’s current owners haven’t had him for long, his previous owners were Spanish so he’s in the process of learning English! Casper is afraid of Geese, I suppose they must look massive to him! Favourite toy: A toy frog which is bigger then him! Favourite pastime: Casper loves sitting next to the laptop, his owners think it because of the heat!